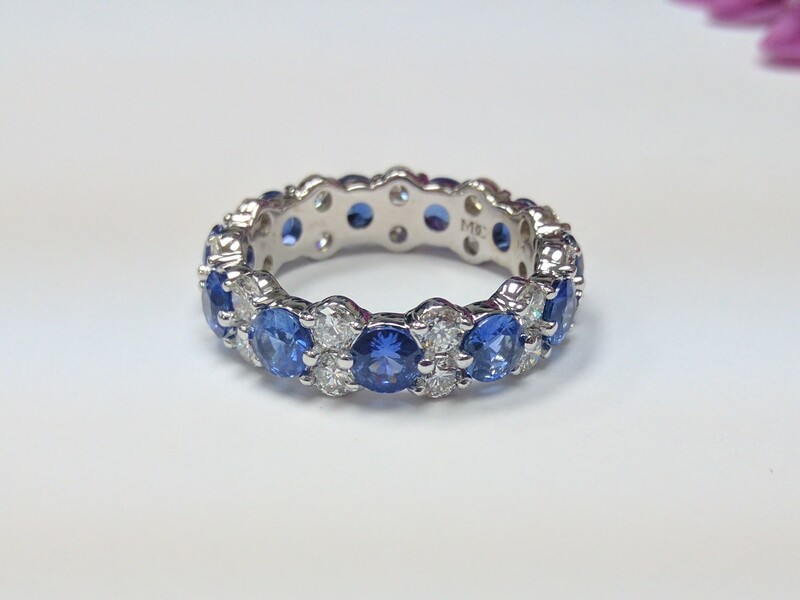 Wedding Band - Garland Alternating Blue Sapphires & Round Cut Diamond Eternity Band, 5ct tcw. A size 7 3/4 eternity band with alternating 4mm blue sapphires and a pair of 2.6mm round cut diamonds in a garland design going all the way around your finger. Can be created for any ring size or desired stone size, price will change accordingly. See our Garland Collection.